I had my first appointment with Smiles of Carolina last week. The staff were extremely nice, friendly, professional, and accommodating. Due to staffing issues that day, the dentist himself cleaned my teeth! I was treated like a VIP as a brand new patient. I highly recommend this dental office to anyone looking for a superior experience! I will be going back for sure. Welcome to Smiles of Carolina! At Smiles of Carolina in Knightdale, North Carolina, we provide state-of-the-art, patient-centered dentistry to anyone who is in need of personal, individualized dental health care. We take the time to get to know our patients and always treat you according to your own unique needs. Smiles of Carolina is conveniently located on 64 Business just off Highway 540 in Knightdale. We are thrilled to care for the health of the people of Knightdale and our neighboring communities, including Raleigh, Zebulon, and Wendell. Dr. Mark and Dr. Ko love what they do, and this reflects in the phenomenal care they give their patients. At Smiles of Carolina, we have assembled a team of friendly, talented, and caring dental hygienists, assistants, and office staff. When you walk through our front door, you can expect to be greeted by smiling faces who are excited to get to know you and your family. We place our primary focus on giving you the best possible preventive dental care for a healthy, beautiful smile that lasts a lifetime. Your entire family, from the youngest to the oldest, is welcome at our practice. We provide thorough, comprehensive dental examinations and cleanings to give your family a solid foundation for developing excellent dental health habits. 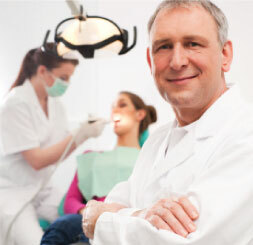 At Smiles of Carolina, you are a crucial part of your dental team. 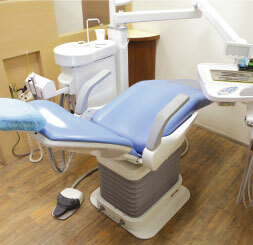 We take the time to educate you on treatments and procedures, and you always have the final say in your dental care. If you need some extra help caring for your smile, turn to Smiles of Carolina. We have the skills and experience to provide comprehensive periodontal therapy and rotary endodontics to make root canals easier, safer, faster, and more comfortable than ever before. We can provide quality care for complex problems and can even give you a complete smile makeover with ClearCorrect clear aligner therapy, restoration of dental implants, crowns and bridges, and dentures and partials. At Smiles of Carolina, we take advantage of modern dental technology to provide you with safe, comfortable, and efficient dental care. We use digital imaging and digital x-rays to provide clearer images for faster and smarter diagnostics while exposing you to up to 90 percent less radiation than traditional film x-rays. 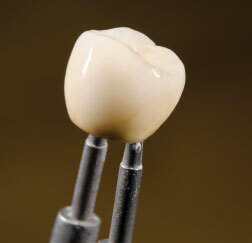 Modern dentistry is constantly evolving, and Dr. Mark and Dr. Ko work hard to stay on top of the latest developments. We want our patients to have access to the very best care possible. At the same time, we believe that some things should never change, like our commitment to giving you a warm, welcoming environment filled with friendly and talented people. We are also members of the American Dental Association and the Academy of General Dentistry. We also understand that our patients lead busy lives, and sometimes dental care winds up taking a back seat because of other commitments. At Smiles of Carolina, we make it easy to make your dental health a priority again with extended office hours, including evenings and Saturdays. We look forward to meeting you and your family! Call Smiles of Carolina today to schedule your appointment!